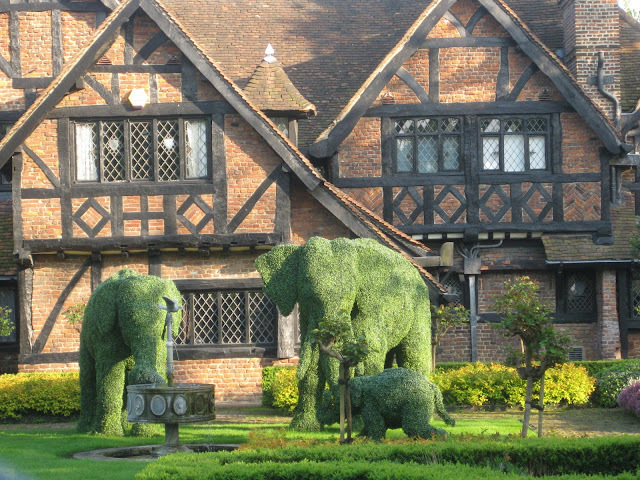 These topiary elephants are a famous local landmark despite being hidden behind the high wall and solid gate of Whorne’s Place, 254 Petersham Road. The best way to see them is from the front of the top deck of a 65 bus heading towards Kingston. I tried taking a photograph from there several times but the bus glass was always too dirty for a decent picture so, in desperation, I resorted to simply holding my camera up above the gate.